When Raising Chickens - Beware of These Things! There are things that every chicken keeper needs to know in order to properly care for his/her chickens. We at the typesofchicken.com team decided to do an article on this subject in the form of When Raising Chickens – Beware of These Things! Without any further ado, here`s the list! 1. 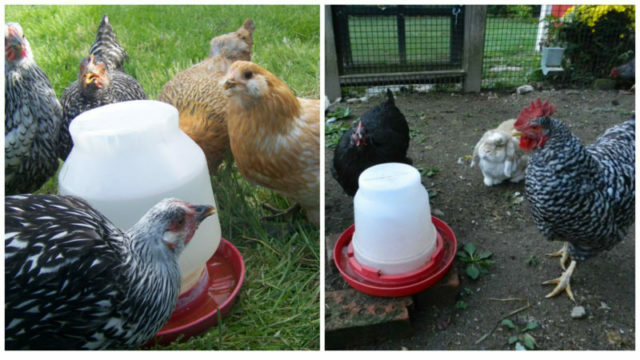 Make Sure Your Chickens Have Clean Water – ALWAYS! 2. 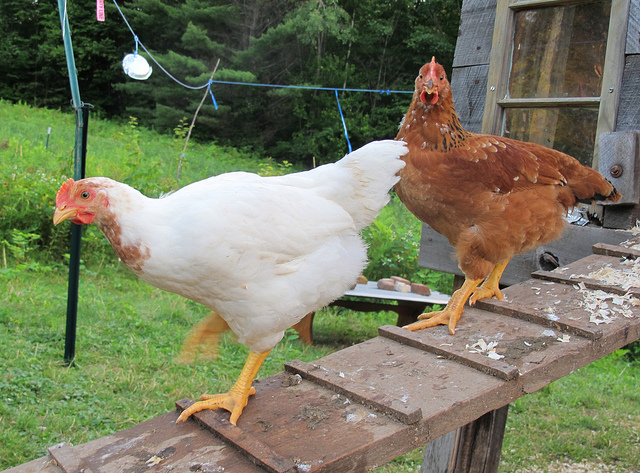 Clean The Chicken Coop As Much As Your Chickens Need It! 4. Be Patient With Your Chickens! 5. Spend Time With Your Chickens! 1. Do Not Overfeed Your Chickens! 2. Do Not Feed Your Chickens Chicken Meat And Spoiled Leftover Food! 3. Do Not Leave Extra Food Lying Around In The Run And The Coop! 4. Do Not Leave A New Chicken To An Old Flock Unprotected! 5. Make Sure You Read The Products You Use For Your Chicken Keeping Needs! Maintaining the chicken coop clean makes it safer for your chickens to live in it because hygiene is the most crucial part in preventing many illnesses and diseases around your flock. 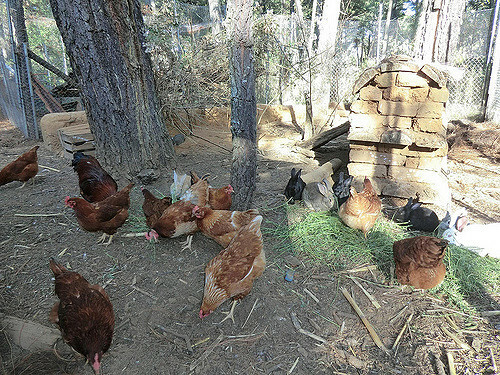 If you want to know how to clean your coop the all-natural way make sure that you check out this article. In order to make chickens waste enough energy to keep a healthy life and to prevent bullying it is recommended that every chicken keeper spends some time and effort to build them some simple and useful toys. Fun fact: chickens enjoy toys that contain treats. Old folks don`t say patience is a virtue for no reason. Your chickens can be good pets as well as eggs and meat providers but you need to have patience with them until they realize what you want from them. 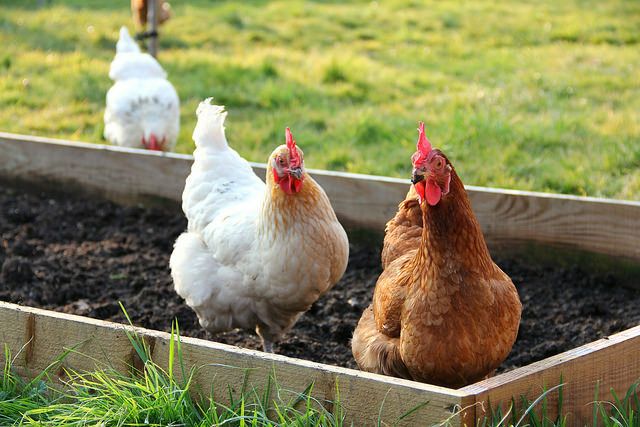 With proper care your chickens can even help you around your garden. Spending time with your chickens is very important because it will help you learn their patterns of behavior and with that you can know if something is wrong with them. By knowing the character of your chickens you can decide which chicken should go on the regular physical exam first. Giving treats to your chickens is very fun, we all agree with that statement – but the problem is that gaining extra weight does not do good to your chickens. That is why you need to provide proper exercise to your chickens if you want to give them treats regularly. Feeding leftover food to your chickens saves you as a chicken keeper time and money, but in order to do it properly make sure that the leftover food is not spoiled. Feeding chicken meat to your chickens can lead to cannibalism in your flock and no one wants that. Leaving the food your chickens didn’t eat behind can be a problem because bacteria can stack up on the food and leaving food outside can attract predators. So make sure that you clean after your chickens had their treats. Every flock has its own hierarchy and pecking order. When a new chicken gets introduced to a previously formed flock bullying tends to happen. In order to keep you new chicken protected make sure that you leave some closed space where it can be near your flock but the flock cannot get to it. All that cleaning and maintaining can be for nothing if you use some product that is not safe for animals. You can poison your whole flock by making this kind of mistake. 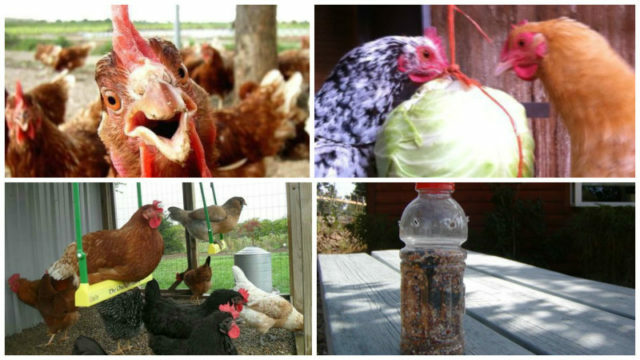 Make sure that your cleaning materials are either all natural or safe for your chickens. Many chemicals that cleaning products contain are safe for us but deadly for your chickens, so as we said – read the ingredients before using any store bought product around your chickens. Previous Article Routines Every Chicken Keeper Should Follow! Next Article Top 5 Chicken Breeds For Beginners!